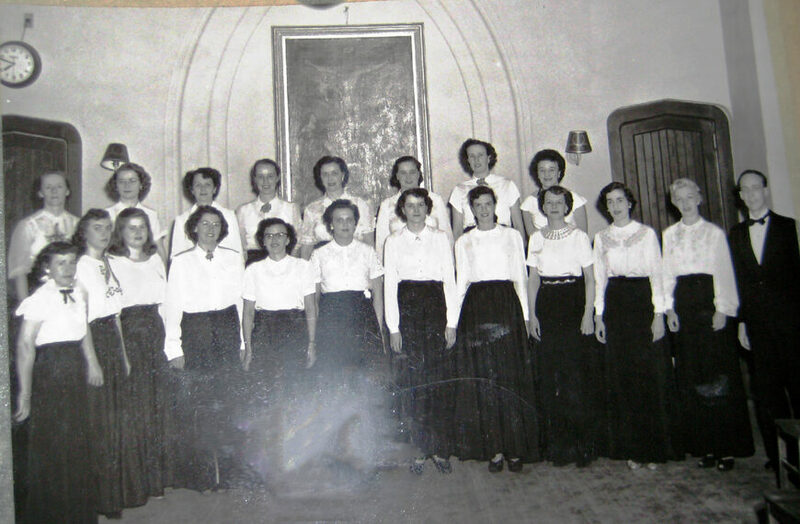 The roots of the Rhinebeck Choral Club reach back to 1945, when Elsa Casey, a local organist and choir director, organized The Choral Club, a women's community vocal ensemble. Not to be outdone, the men of the community came together the following year as the Rhinebeck Men's Chorus. After 16 seasons of performing annual concerts together, the groups combined in 1962 as The Rhinebeck Choral Club. The Choral Club has more than 65 years of community service through music performed by literally hundreds of men and women in the Hudson Valley region. While performing two main concerts annually in December and May, the Choral Club also participates in musical community outreach. Most recently, the RCC has participated in Barnes & Noble Bookfairs in Kingston, and has performed at the Rhinebeck Christmas Parade and Tree Lighting. At each of our two main concerts, a guest artist is traditionally invited to perform with the RCC. In the past ten years alone, we have been proud to share the stage with The Poughkeepsie Newyorkers, The Evergreen Chorus, The Campanola Ringers, the Kingston Chorale Choir, the Singing Ambassadors, the Cantabile Singers, The Arlington District Select Chor-Us, The Voices of Glory, the Redhook High School Vocal Jazz Choir, and the Strawberry Hill Fiddlers.